If you like Goldfish you might like this offer! 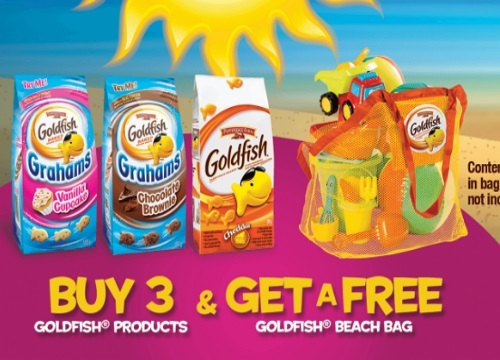 Get Free Goldfish Beach Bag when you purchase three packages of participating Goldfish products! To claim your offer, purchase your items in one transaction and upload a picture of your receipt. Purchases must be made between May 16-July 15, 2016. Limit of 3 per household. Offer ends July 15, 2016 or while supplies last.